You might be wondering how I know if they still live at the same address... As long as they still live in our county, our sweet school registrar can verify their address for me. Surprisingly, about 80% of the students still live in the area. Then, comes the hard part...I also check to make sure they're "graduating" this year so I don't send them a graduation package if for some reason they're not. Our local paper (it's a big one) prints an entire section of all high school graduates by high school. For some of these "ladies & gentlemen" I have to take a double take-they look so grown up and so different from 4th grade! I lay out all my addressed envelopes/letters, sort through all my pictures, and stuff all the goodies in a large envelope to be mailed the week of their graduation. Here's what one package looks like-I wish I could see their faces when they open it! This is very MOTIVATING to see the success and great accomplishments of my students! It brings back great memories for me and I hope does for my students as well. Before I even sent out my graduation packages, I received 7 invites to graduation this year! :) Melts my heart that they still remember their elementary teacher, just another reason I LOVE my job! I just bundled my POST-IT PRODUCTS and would love to give one away! Pin the image, (click see pin), copy the URL address, and paste into the comments. If you don't want to wait, it's on sale for this weekend! holy moly! That is some serious dedication! I bet they LOVE LOVE LOVE getting that in the mail!!! Oh my goodness that is so sweet of you!!! No wonder you get so many invitations...you obviously are the bomb!! You do such awesome stuff for your students...when I grow up I want to be you! LOL....I pinned it, FB'd it twice and sent it out via Twitter...even if I don't win...someone I know hopefully will. Thanks for everything as always you amaze me! What a wonderful idea...I'll bet your students are thrilled to receive your package! You are so dang sweet! That takes some serious organization! Thanks for the great giveaway! I would love to use this in my classroom! I LOVE this! It is so interactive! How out of the box because I haven't' seen anything like your post it products! Your students must feel so honored to have a blast from the past show up in their mailbox - that's truly inspiring and it sounds like you have warmed many hearts through this tradition of yours. Kudos. Amazing! I do something similar, but it is at the end of the year they are with me-- they get their packet when they leave my room. This has so much more impact! It is really special. Wow! What an amazing gift for your former students to receive. I am sure your former students are absolutely thrilled to receive a graduation package from you! That is awesome! Fabulous-ness!!! 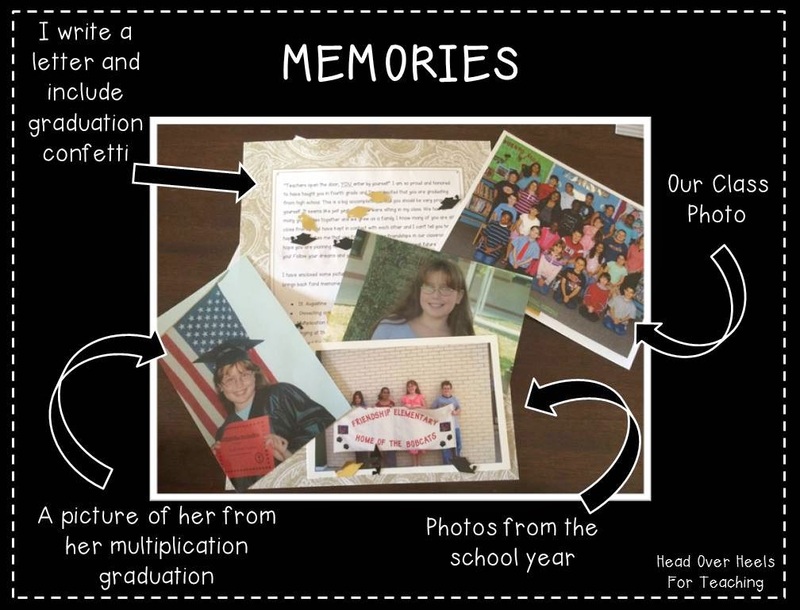 I love the graduation package idea, but I don't think I'm organized enough to keep track of the pictures and addresses for that length of time!! :) What would help me be organized now though is that awesome Post-it Bundle!! Hopefully I've pinned it to win it!!!!!! 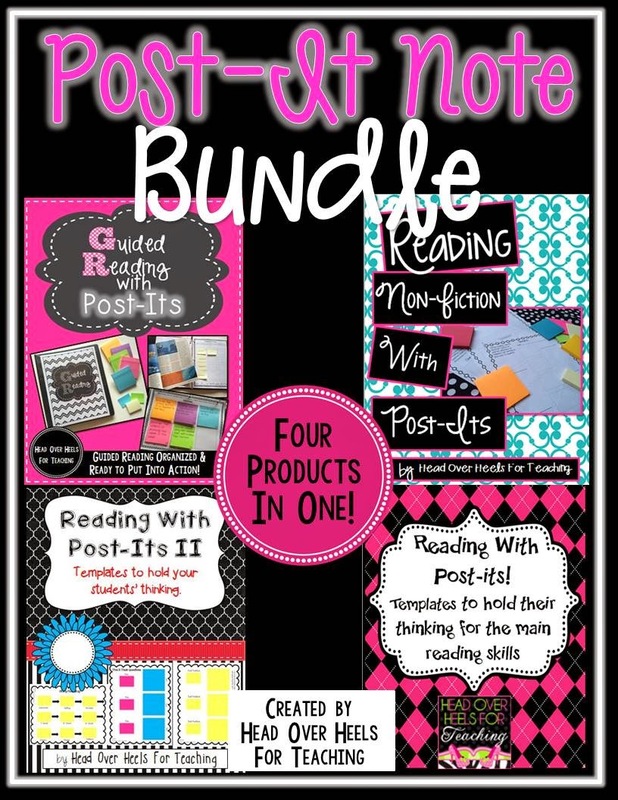 http://www.pinterest.com/pin/194288171399754835/ Love the Post-It Bundle!! !